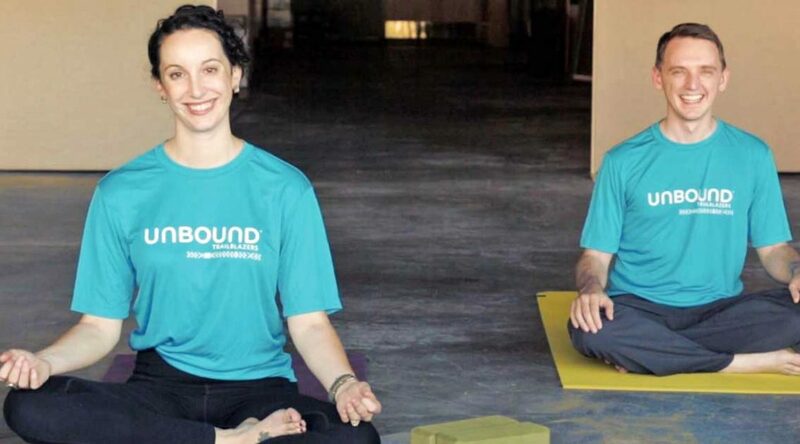 Maureen Lunn and Andrew Kling, Unbound’s director of community outreach and media relations, wear Trailblazer t-shirts while doing yoga. Maureen holds her yoga teaching certificate. 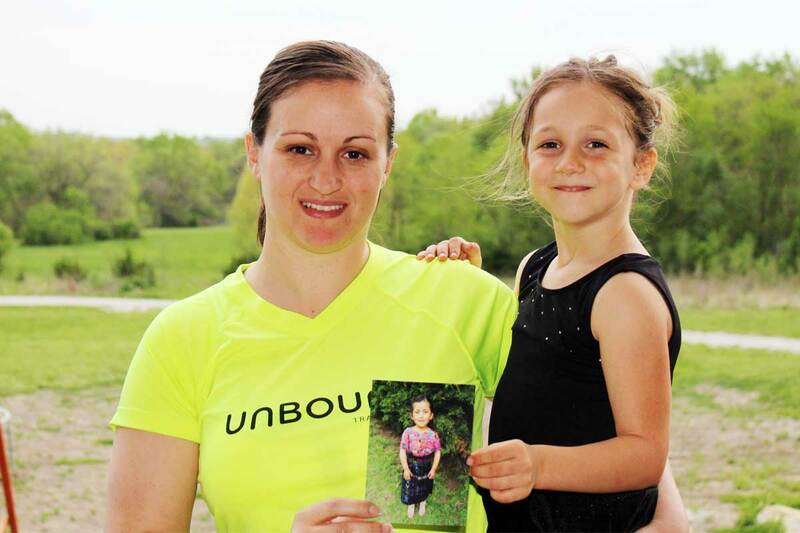 She used her progress toward her certificate as a way to raise funds for Unbound’s scholarship program. 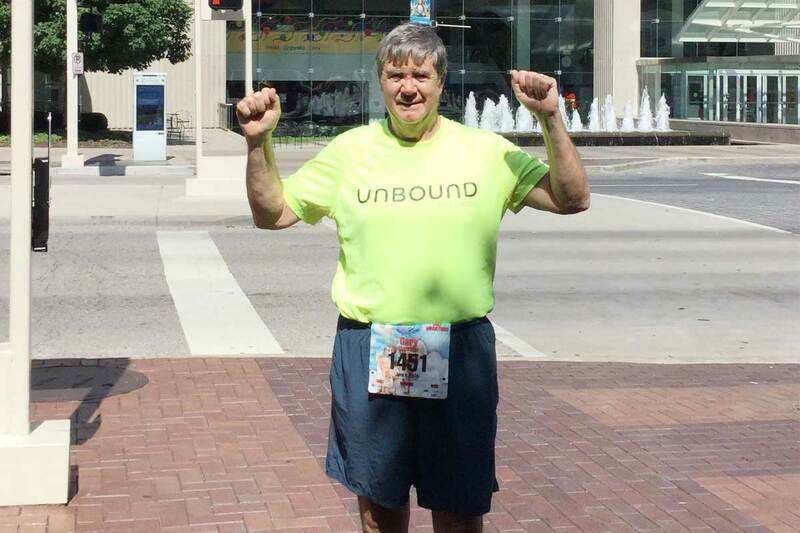 I quickly learned that you don’t have to be a runner, walker or competitor to participate in Trailblazers, which is a worldwide team of Unbound sponsors and supporters who challenge poverty by raising money through athletics. 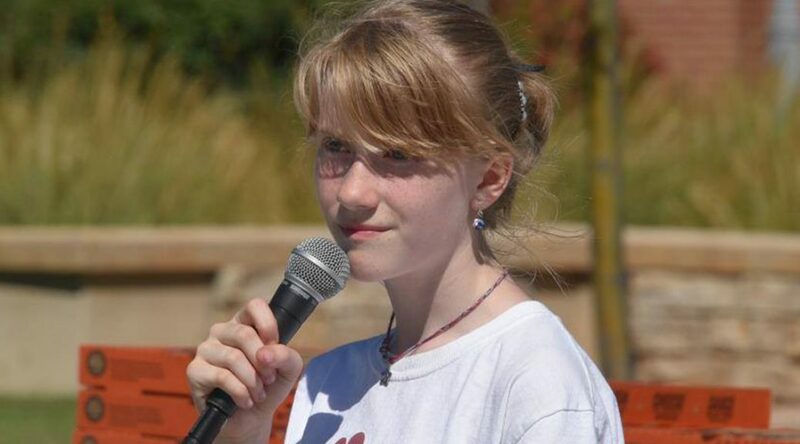 Still, I didn’t know how I could participate (but I really wanted that cool teal Trailblazers shirt). Then it finally hit me — yoga! I’d been practicing yoga for more than a decade and was about to graduate from a year-long yoga teacher training program. Trailblazers would create a perfect platform to request graduation gifts from my friends and family in the form of donations to Unbound. Blanca sits outside her home with her two youngest sons, Mynor (left) and Osber (right). Blanca displays some of the trophies she has won at running competitions. People go running for many reasons. Some do it to get healthy, some for the competition and some to support a cause. Blanca is a 29-year-old mom of four living in Guatemala whose daughter, Berberlin, 13, is sponsored by Wayne from Montana. Blanca is also a runner. 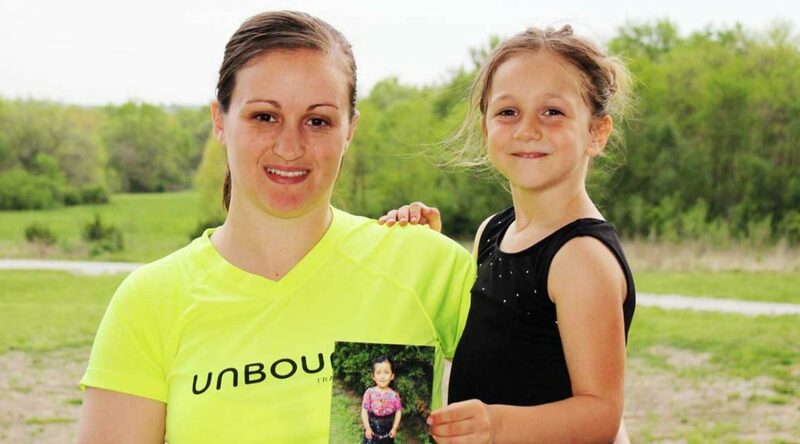 Her main reason for running is simple: to support her family. 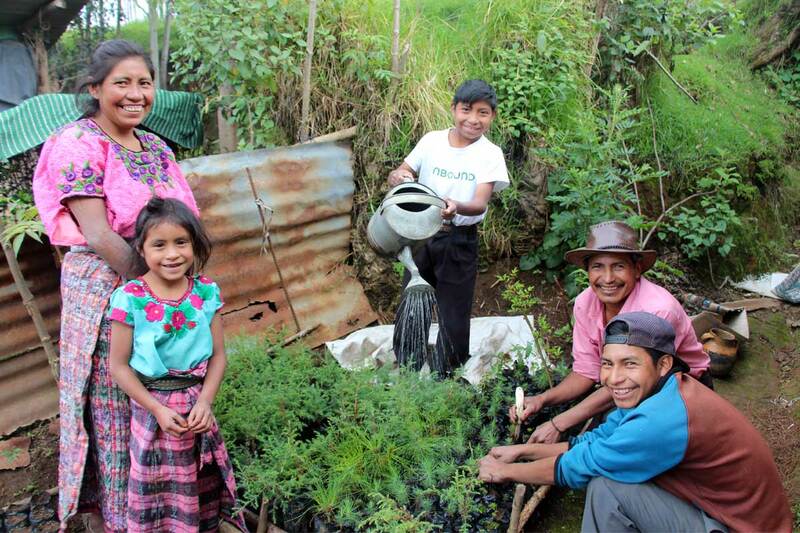 Lucio (center) and his family work together at their tree nursery in Guatemala. Do you love Unbound so much that you want to shout it from the rooftops? Or maybe enough to leave a positive review on GreatNonprofits and help Unbound become a Top-Rated Nonprofit in 2017? GreatNonprofits provides a platform for people to share their stories and experiences as donors and volunteers with nonprofit organizations. We were on their list of Top-Rated Nonprofits in 2016 and previous years, and hope to achieve this distinction again. Share your Unbound story and let others who want to know more about our organization hear what you have to say. Leave a review on GreatNonprofits today! Get more inspiration from Gary! 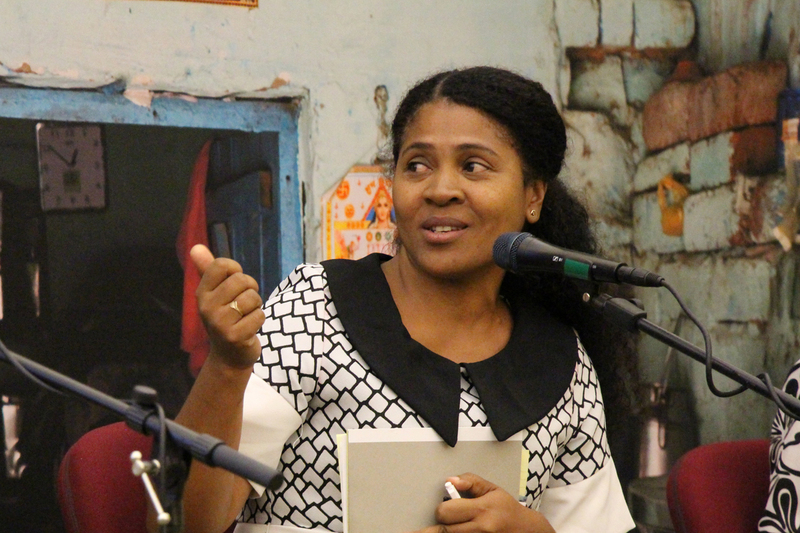 Liva Rajaonarisina, program coordinator in Antsirabe, Madagascar presents at Unbound’s Global Insight Series on March 29 in Kansas City. 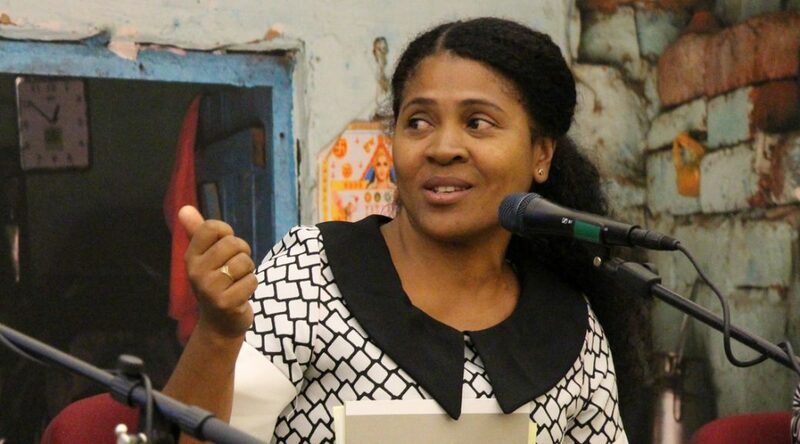 Liva Rajaonarisina is Unbound’s program coordinator in Antsirabe, Madagascar. With experience working in mission work, translation and employee training, Liva has worked for Unbound as program coordinator since 2008. 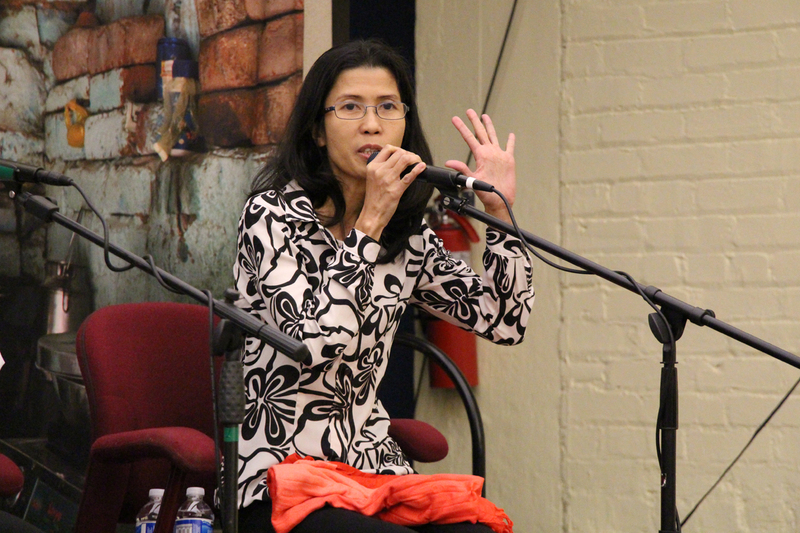 Risa Vereña, program coordinator in Manila, Philippines, presents at Unbound’s Global Insight Series on March 29 in Kansas City. What does making peanut butter and renting videoke (a video version of karaoke) machines have to do with Unbound sponsorship? 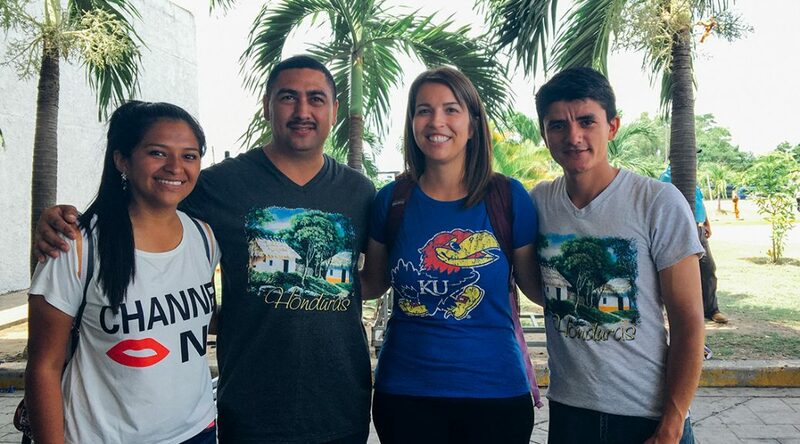 They are two of the many businesses started by parents of sponsored children in Manila, and according to Risa, they are ventures that will be welcomed readily by the community. 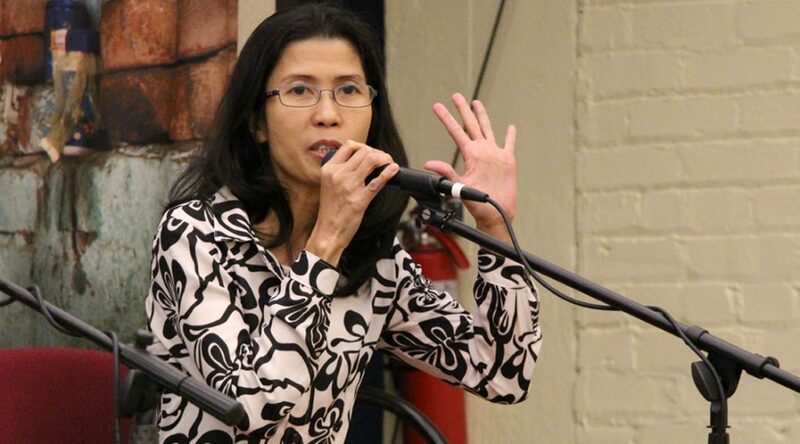 Risa is Unbound’s program coordinator in Manila, Philippines. With a bachelor’s degree in development communication and education communication, Risa has worked for Unbound for 15 years. 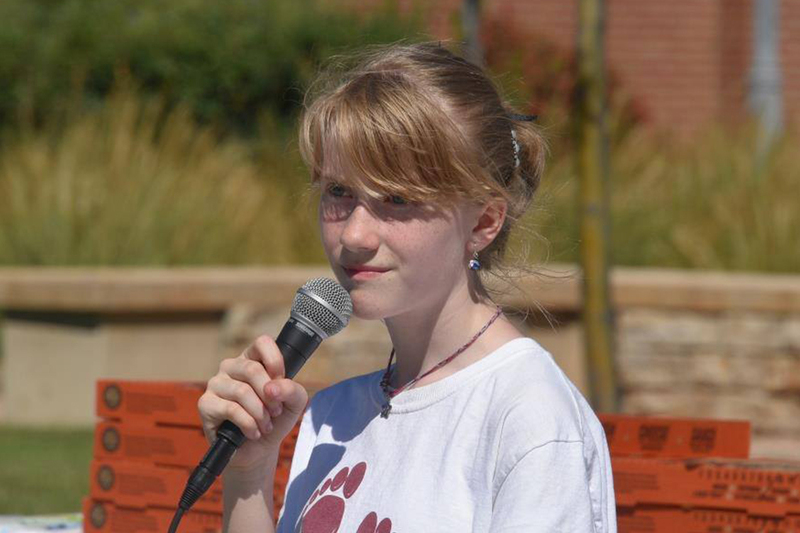 She began as the communications officer in 2009 and took on the role of program coordinator in 2014. 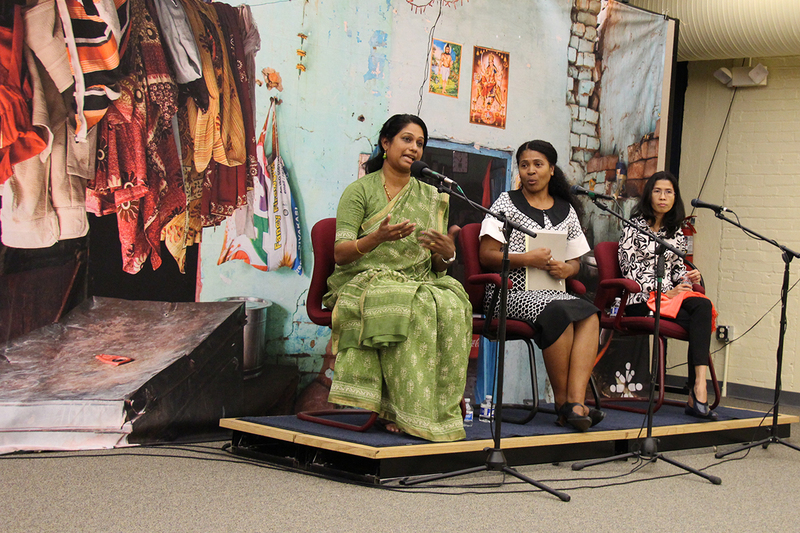 The inaugural edition of the Unbound Global Insight Series March 29 at our headquarters in Kansas City unfolded as an evening of discovery, an opportunity to listen and learn from three program coordinators visiting from India, Madagascar and the Philippines. 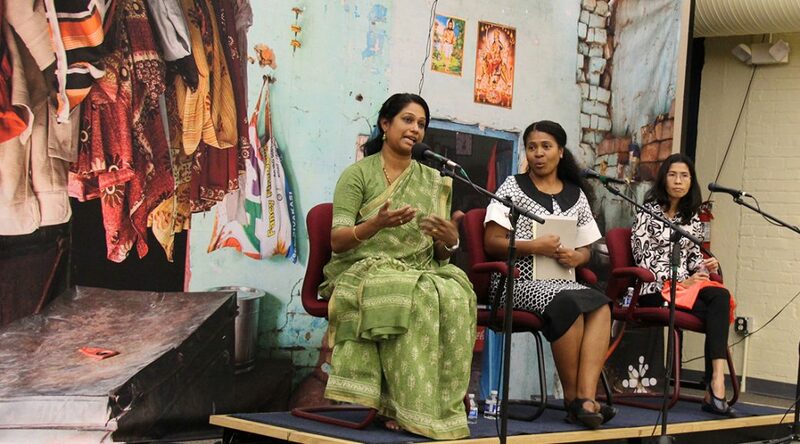 Saritha Mendanha, Liva Rajaonarisina and Risa Vereña shared insights on our programs and the innovative ways that sponsorship provides opportunities for families around the world. 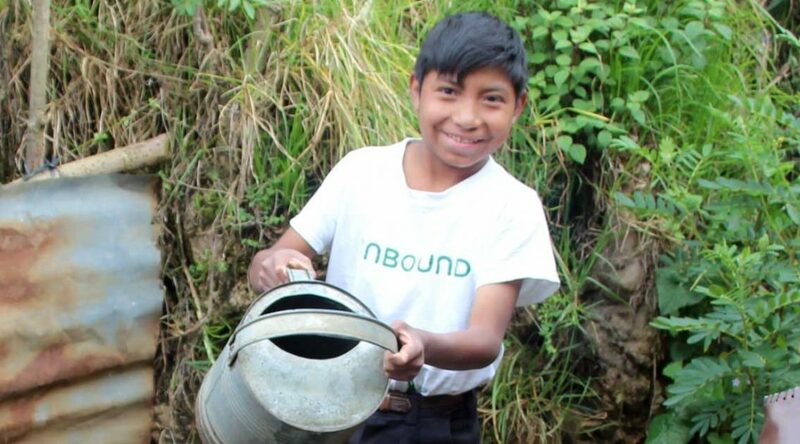 Unbound has 37 projects in the 19 countries where we work. The projects serve as regional hubs in areas where sponsored members live, and are the coordinating centers for community-based programs that span the area. Each of these hubs is led by a coordinator who helps guide and manage the Unbound program in that area. 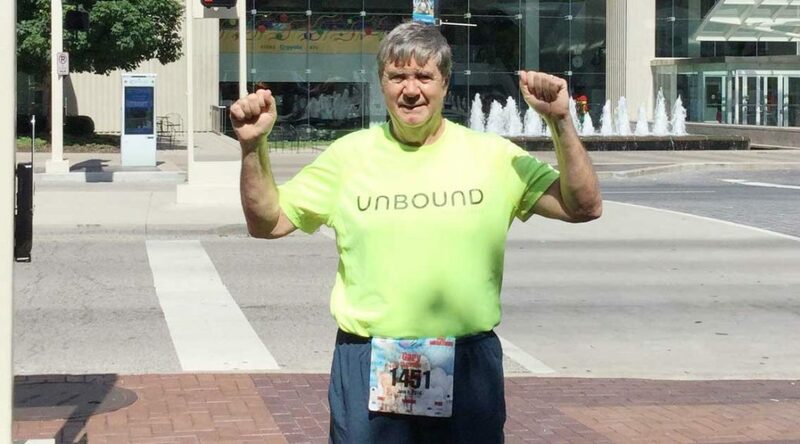 Unbound’s co-founder Bob Hentzen once described these staff members as “saints with talent.” Those attending last Wednesday’s event got a glimpse of what Bob meant. Read on for a photo essay depicting the event, and stay tuned next week for three more blog posts on topics presented by Saritha, Liva and Risa. 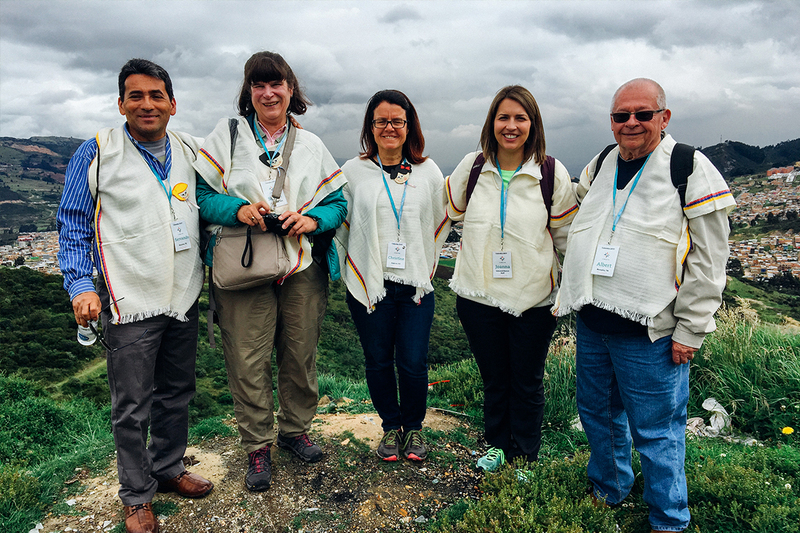 What they shared reflects the program innovations in their countries and shows that their work holds true to one of our most important organizational values — that we, as sponsors and staff, are students of the families we accompany in overcoming poverty.